A strongly constructed versitle timber building, manufactured with an apex roof or a single slope roof. 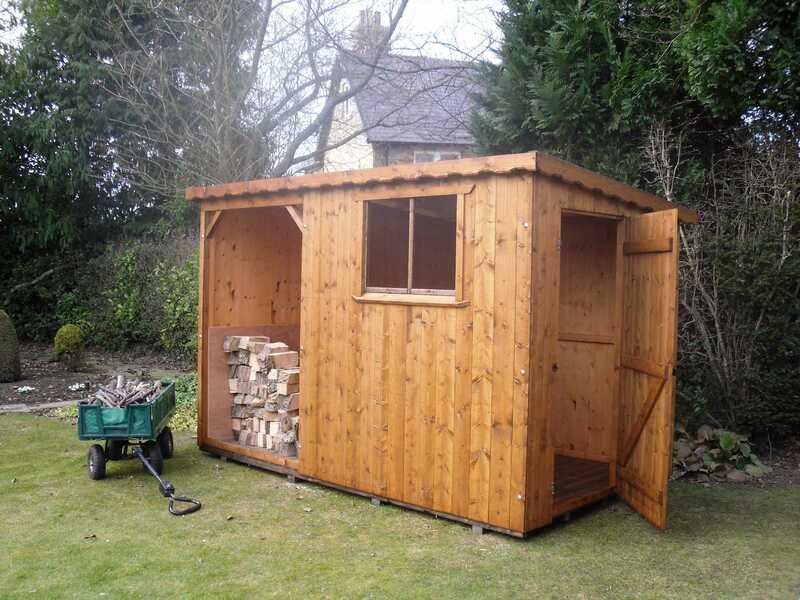 This building is designed for dual purpose, an open fronted area for storing logs and enclosed area for storage, which can be manufactured to any size to suit your own requirements. The floor, walls and roof are constructed in sturdy tongue and grooved boarding on extra strong framework. The door in the tool store area can be positioned in the end section (as shown) or moved to the front section if preferred, the window is optional. You are more than welcome to visit our display centre where we have over 60 buildings on display including the Log/Tool stores, open seven days a week 9am - 5pm. All sizes shown are ment and imperial although are constructed to the nearest metric size.